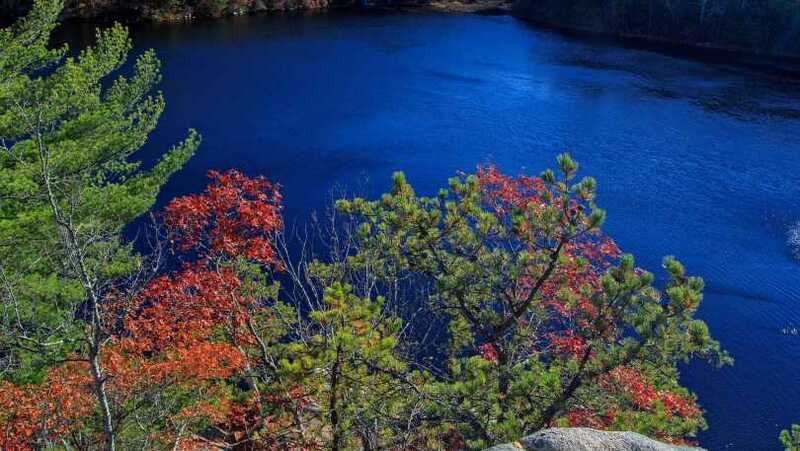 Long Pond Woods, in Hopkinton, offers, arguably, the most challenging hiking of any Audubon Refuge. The 220 acres of rocky and steep terrain harbors dense groves of mountain laurel and rhododendron bursting with flowers in the spring and towering oaks and hemlocks. 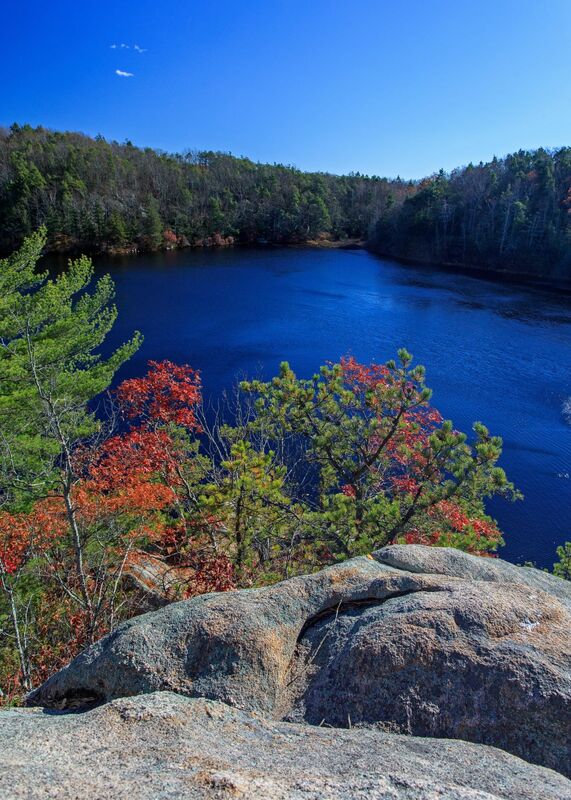 The view from a rock outcrop high above Long Pond is like no other in the refuge system. Trails connect to a system that goes into Connecticut.